This page is the home of "Au Chateau", a beautiful 18th century manor house which enjoys stunning panoramic views of the Pyrenees. The house is the ideal getaway for families or groups of friends looking for the perfect relaxing holiday. 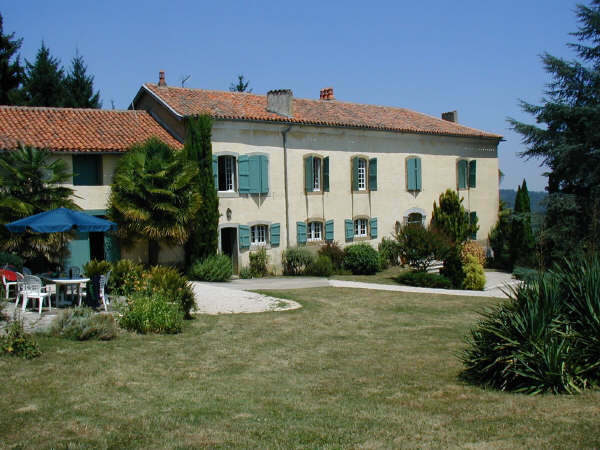 Au Chateau is situated on the site of a mediaeval motte and baillie providing commanding views of the surrounding countryside and the snow capped Pyrenees beyond. The manor lies within the hamlet of Luby Betmont which consists of a church, a few other houses and several farm buildings. The house is surrounded by 4.5 acres of mature gardens which are attended by a local gardener who also maintains the beautiful pool area outside the house. The Midi-Pyrenees has a great deal to offer visitors with many interesting towns and villages in the surrounding area offering excellent shopping, restaurants and fantastic scenery. Please feel free to explore this site further and if you have any questions do not hesitate to get in touch using the details provided in the "Contact Us" section.